The International Committee of the Red Cross condemned the "tragic killing" of Khorsa in a statement released on Monday. "We are devastated by the murder of our colleague Saifura," said Eloi Fillion, the head of the ICRC delegation in Abuja. "The girls that returned said Leah said she will not deny Christ or turn to be a Muslim," Leah's father, Nathan said in an Interview. "We contacted the government through writing and also sent audio messages but the government has ignored us. So, here is a message of blood," said a spokesman of the group who did not give his name. 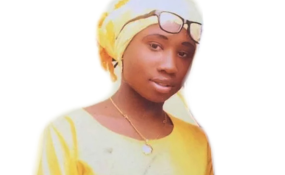 "I am Leah Sharibu... I am calling on the government and people of goodwill to intervene to get me out of my current situation". "The other nurse and midwife will be executed in a similar manner in one month, including Leah Sharibu," the sect threatened. "The insurgents are busy piling up arms by overrunning one military base, after another, for something "big" and what could that be," he tweeted on Saturday. The rising regularity of Boko Haram attacks suggests that Salkida's warning should be taken seriously. "When attention was on #ISWAP attack on Guzamala yesterday, the group staged another daring attack on a military facility in Baga, Kukawa, on the shores of the #LakeChad," Salkida said in another tweet on Sunday. This warning is coming after Buhari in May said they have been "degraded" instead of "defeated" in what seemed to be a tacit acknowledgement of the difficulty of the task of curtailing the growth of the insurgents. "The capacity of the insurgents has been degraded, leading to the re-establishment of the authority of government and the release of captives including, happily, 106 Chibok and 104 Dapchi girls, and over 16,000 other persons held by the Boko Haram," Buhari said in a Democracy Day speech on May 29, 2018. "The government of Nigeria strongly condemns this reprehensible and inhuman act. No religion permits the killing of the innocent," Garba Shehu, his senior special assistant on media and publicity said on Monday. The president, therefore, appealed to Nigeria's international partners and everyone with an influence on the sect to prevail on it "to stop these acts of extreme barbarism."